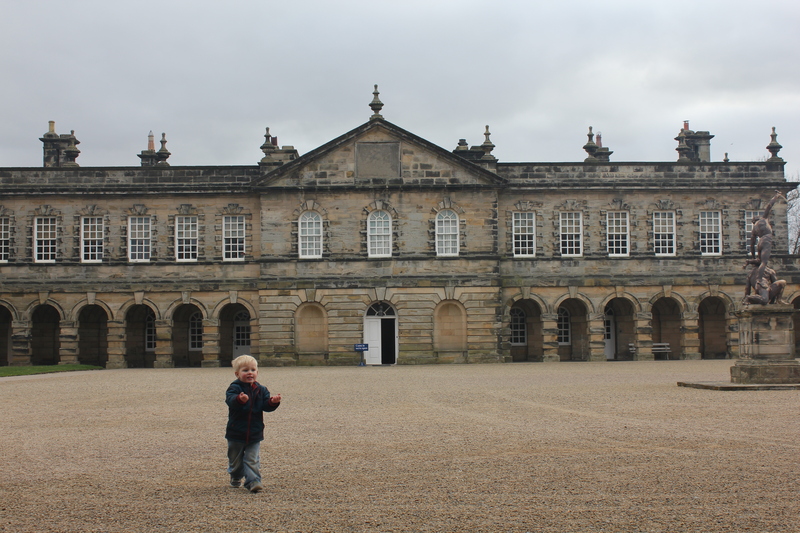 Kindling James’ new-found love of climbing, we went to Seaton Delaval Hall today for a go on their excellent play area. 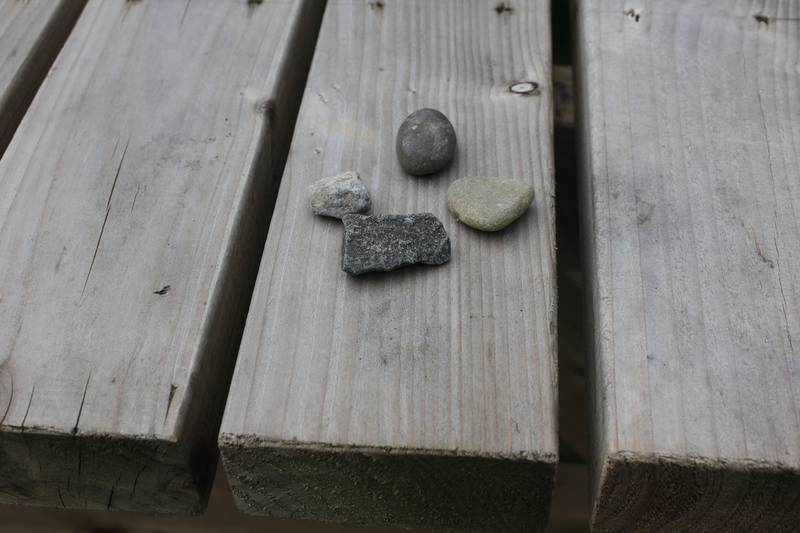 The car park to the National Trust property is filled with little stones. 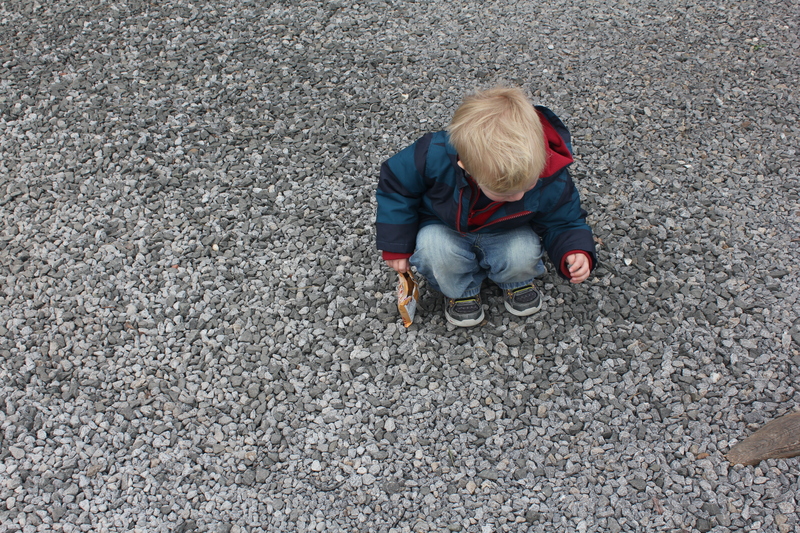 James can’t go past a gravel patch without ‘being a digger’ and getting a few stones for his pockets. He’s his mother’s son! I used to go home with pockets full of stones, too! We went through the ticket office and straight to the play area. It’s a magnet for children, and you almost have to pass it to get to the property after the car park. Climbing over the tunnel, after deciding he was too big to go through it. 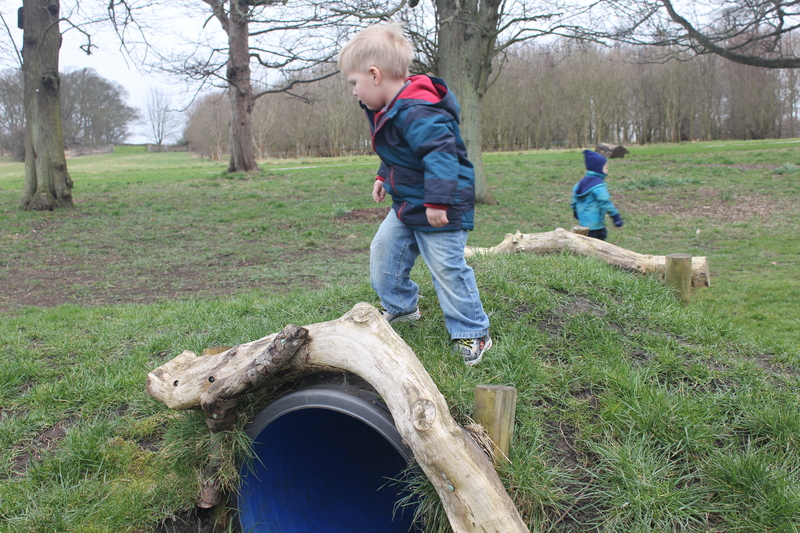 Next to these tunnels is a small, but brilliant, play area, with some strategically placed tree trunks and branches. 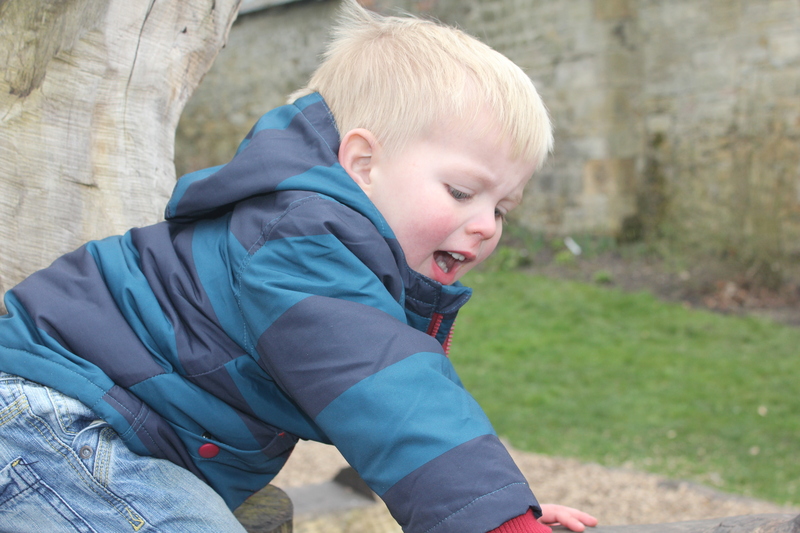 The climbing frame created is great for children to clamber over. Braving the bridge. A dad labelled this “the terrible log of doom”. 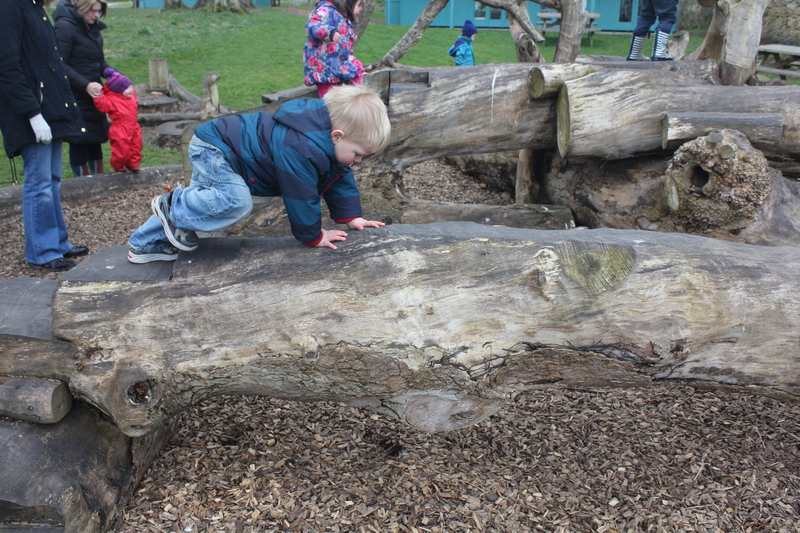 Lots of fun climbing on the logs! It’s quite interesting, this journey he’s taken into having his photo taken. He used to be unaware of it, obviously, but then started asking me to “take a cheese” of things. Now he asks for me to “take a photo” of him. After a very long time, we headed out to the Hall. I didn’t take photos inside, but it elicited a few “wow”s from James, so if you’re local and haven’t been, maybe you’d like to see it; I think James would recommend it! Quite a pretty building, isn’t it?! When we went back outside, James found a group of girls playing. He started to give them his stones he’d collected earlier. Some of the girls accepted, bemusedly, and I was given the gifts that were rejected. He also wandered round with a daffodil for a while, telling them that the bees like flowers. I didn’t take photos of that, although it was very cute. I feel a bit strange about taking photos of other people’s children. 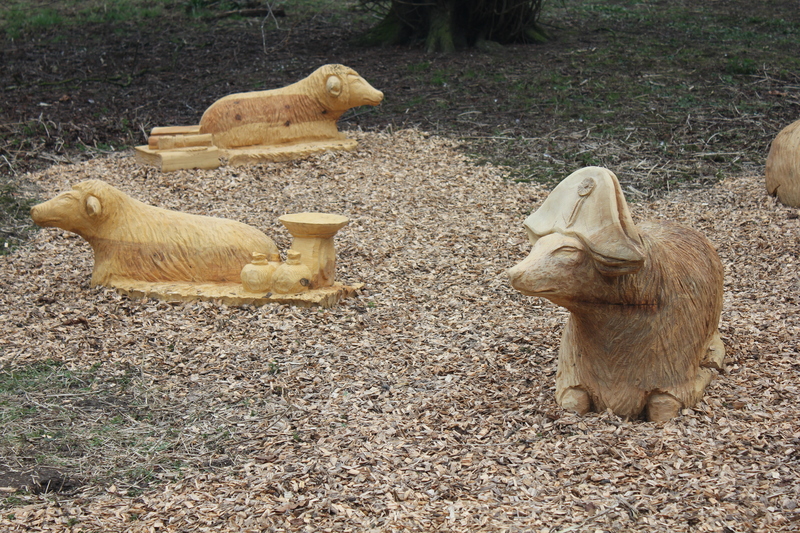 We went back to the play area after seeing these wooden sheep. 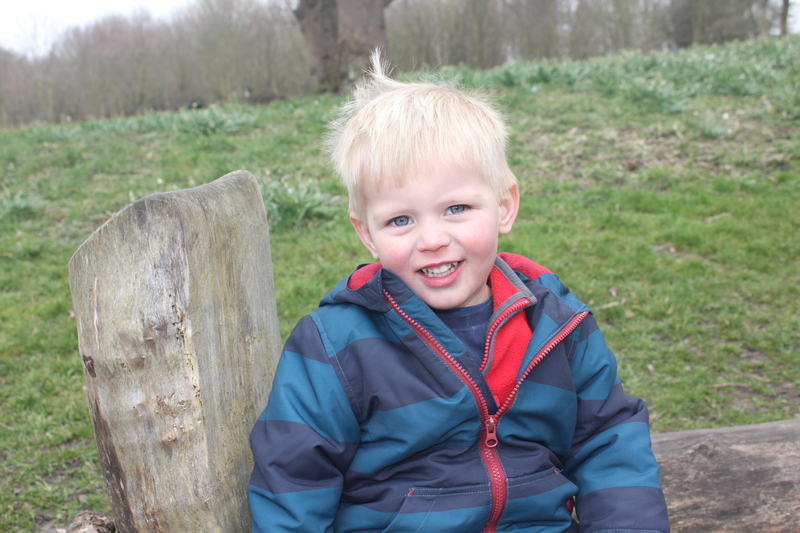 Well, I saw the sheep, James slowly sidled over towards the play area. He clambered around for a bit longer before spectacularly nose diving on the floor from the top. “I like an aeroplane, mammy; I crashed”, he told me after he’d finished crying. I love deleval hall! We haven’t been yet this summer but it’s such a nice place to take the kids. I have fond memories of sunflower learning to walk there 2 years ago! Lovely pictures 🙂 looks like lots of fun here..
That play area looks like the perfect place to get out and run around, I love it when natural items like logs and trees make up the play areas. It’s sweet that he was giving out his stones to the group of girls. James seems to have really enjoyed his day out, although if he spent most of the day in the park that’d probably be why. Thanks for linking up with me on Country Kids. 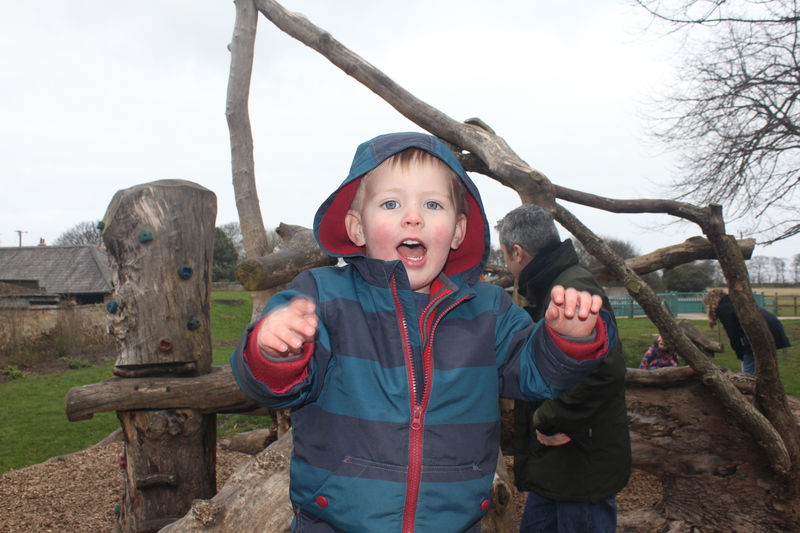 The National Trust have some really great playsites, I’ve found. I’m really enjoying this phase of adventurousness James is in right now! Thanks for hosting country kids! It’s a great prompt to get outside and play!